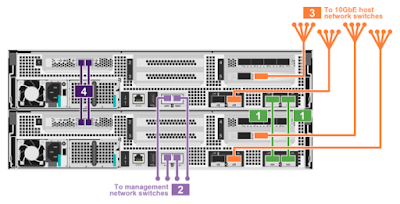 If you want to connect to the AFF A700s using a serial cable, remember the speed is 115200. 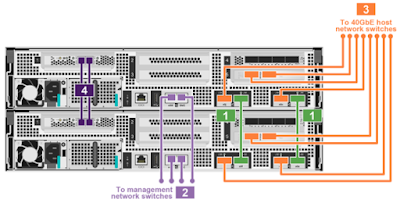 The ISLs are always ports 31 and 32 (connect 31 to 31 and 32 to 32). With node ports you can pretty much take your pick from the available ports (unofficial talk), the main rule being that Node X should use the same ports on Switch A as Switch B (Config Advisor will flag if this is not so) - aim for something logical. 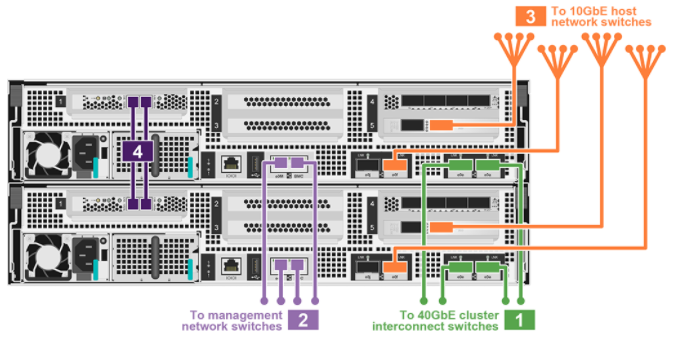 There’s 5 different Cluster Configurations for the AFF A700s (information taken from NetApp Hardware Universe) this allows for switchless clusters, switched clusters, and combinations of 40GbE and 10GbE. 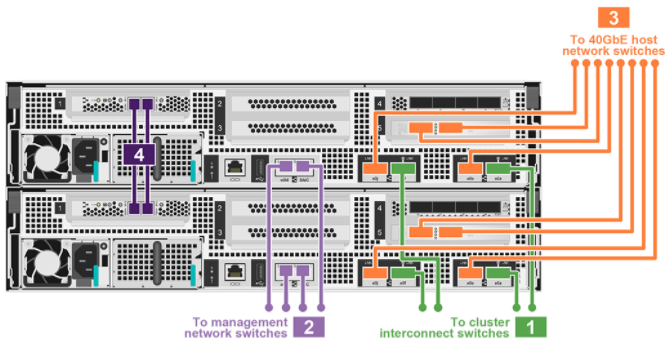 Cluster ports are e0a and e0f. 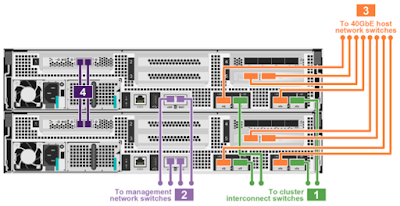 Cluster ports are e0a and e0e. 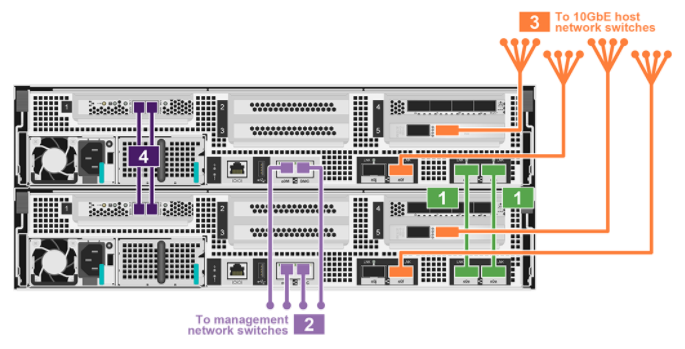 Cluster ports are e0a (Switch A) and e0f (Switch B). 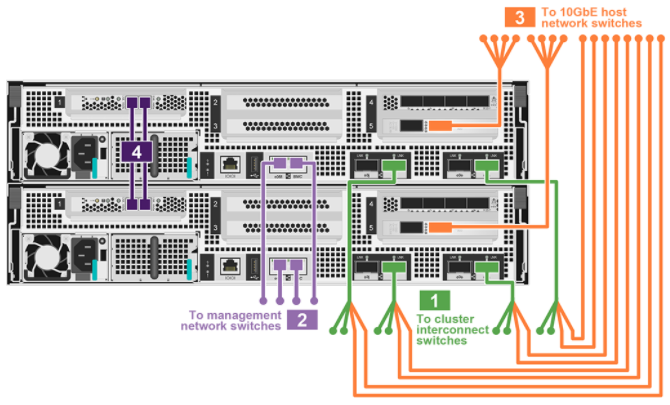 Cluster ports are e0a (Switch A) and e0e (Switch B). 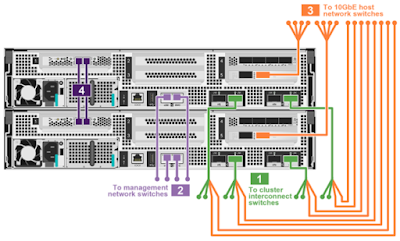 What is the more preferred configurations between cluster cluster configuration 4 and 5? 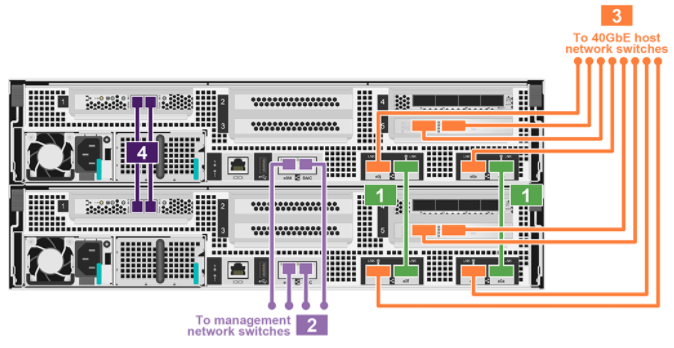 Also, on FAS8000, we used e0c for the cluster manager port. 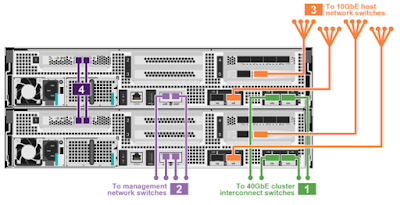 Since there are no such type of 1GbE ports any more on A700s, what should we do now?